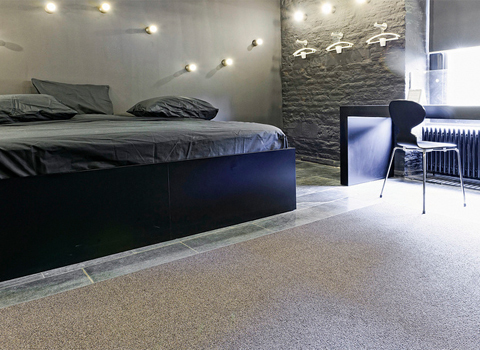 An historic 13th century castle in The Netherlands has reopened as a unique 26-bedroom hotel, designed by some of Holland’s leading interior designers*, and managed almost entirely by students from the Hotel Management School, Maastricht, part of Zuyd University. The Chateau Bethlehem, situated just outside the historic town in the southeast of the country, offers an innovative perspective of how the hospitality industry can integrate academic and practical management training to cater for the evolving needs of the worldwide hotel industry. 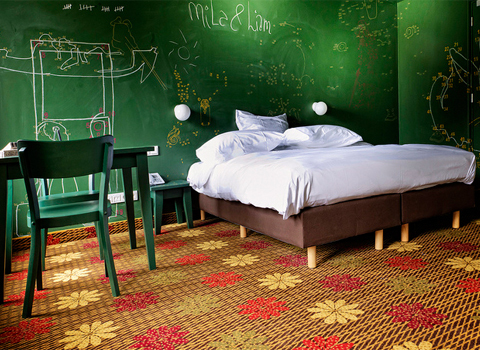 The hotel, now opened after a two-year renovation programme, is intended to become a meeting place for creativity, innovation, and design – with current students at the hotel coming from The Netherlands, Turkey, China, the UK, South America, Canada and Germany, underlining the international nature of the hospitality industry. 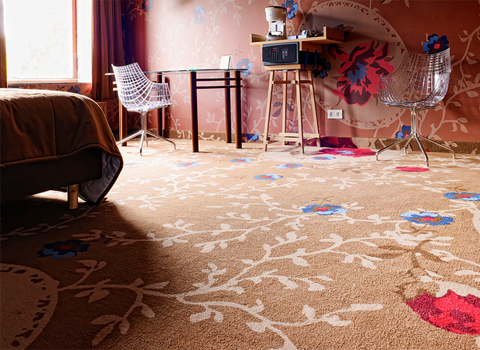 The stunning interior spaces, which also include a 130-seat restaurant, bar and conference rooms, were carpeted byDESSO, the international carpet manufacturer, some of which were specially designed and custom woven into Wilton and Axminster carpets to meet the demanding criteria of the design team. 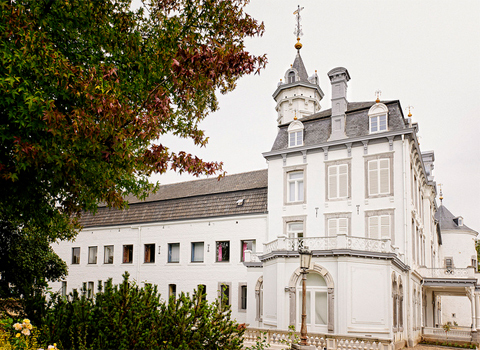 The chateau, listed in 1288 as “Castle Limal,” demonstrates how an historic building of national importance can be brought back into productive life – as well as using its unique interior spaces as a learning environment to create new ideas in the hospitality sector that will find resonance throughout the world. 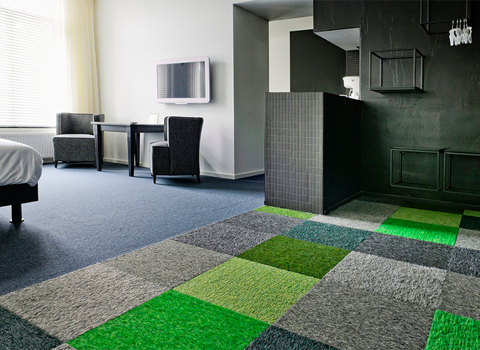 DESSO’s international experience in the hospitality sector, and the creativity of its design team, was a key aspect creating the bold and innovative interior spaces, and the company is to remain fully involved with the hotel. Together with other firms that were involved in the hotel’s design, DESSO will form part of a newly established ‘think tank’, intended to provide collaborative inspiration and new ideas for the hotel and its ground-breaking work to develop successful customer experiences. That concept of collaborative research and design is part of the philosophy of the Hotel Management School, which maintains networks of contacts in the industry. 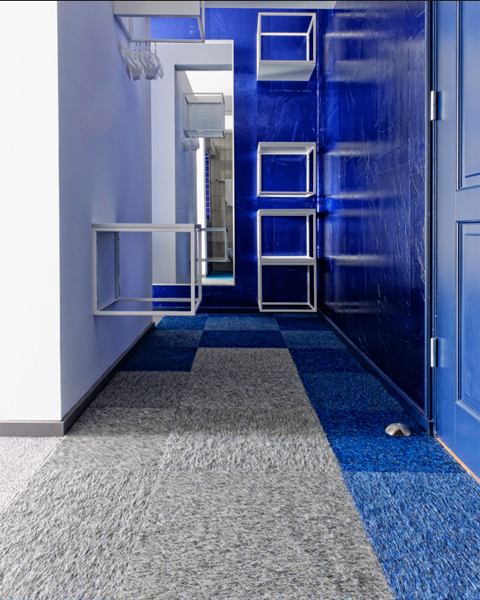 Alexander Collot d’Escury, CCO of DESSO and member of the Teaching Hotel’s Advisory Board said: “The resulting interiors show that high-quality, modern carpet can give a hotel a totally unique character, and that the design possibilities for architects and designers are limitless”. “The concepts and philosophy behind the Chateau Bethlehem, bringing together leading designers, quality suppliers and students from around the world, is at the cutting edge of hotel management thinking and practice. It is a truly collaborative concept that recognises that modern management practice is about bringing people together to create new ideas. As the students return home, the inspiration they take back with them makes this a truly international initiative”, he said.